Got an e-mail in my inbox from Jonathan Clancy, one of the members of A Classic Education. 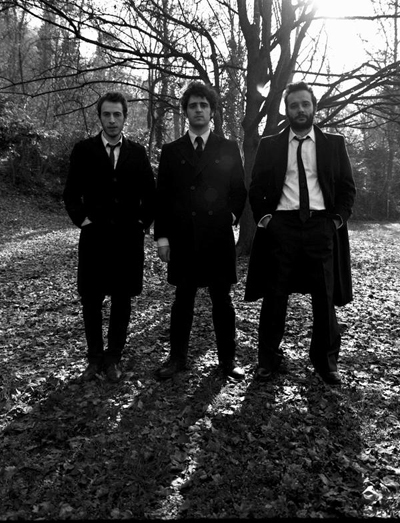 While checking out their myspace page and listening to Stay Son (below), I noticed the band was from Bologna, Italy. My mind swept back to 2002, stop number 31 on my European backpack tour. What a great city! In just over 36 hours, I had the best pizza I’ve ever had, I witnessed a ferrari drag race a porche on the street, I got stuck in the middle of a anti-terrorism protest and I slept in a trail station. man, I wish I was back there. Then I could see A Classic Education perform live. Centered around the trio of Jonathan Clancy, Paul Pieretto & Luca Mazzieri, A Classic Education do the chamber pop sound justice; dense orchestral layers backing grand indie pop . Joined by three others live, the band has recently opened for the likes of Modest Mouse, Arcade Fire and Jeremy Warmsley. The recordings on their myspace page are from their first offering, a collection of songs recorded in 4 days just under a year ago.